The 3.5-inch RE6010 XJ Super-Flex kit converts the XJ into a competent performer. Derived from the design and success of the Extreme-Duty series, the RE6010 provides the same unrivaled off-road prowess at an affordable price. 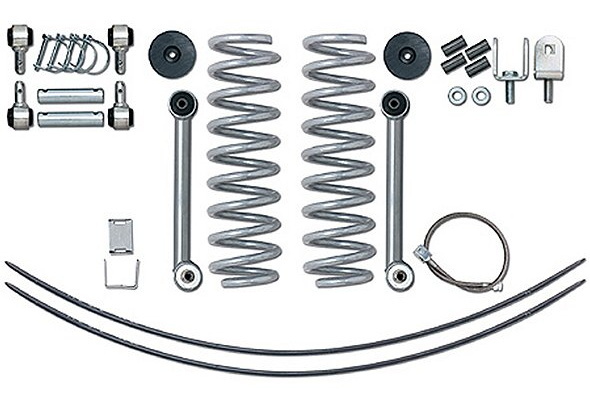 The RE6030 is the next step up with the addition of rear spring packs replacing the add-a-leafs. This will greatly improve traction, ride quality and payload.